OSRAM was founded in 1919 by the merger of the lighting businesses of Auergesellschaft, Siemens & Halske and Allgemeine Elektrizitäts-Gesellschaft. The "Osram" name is derived from osmium and Wolfram (German for tungsten, also used in English), as both these elements were commonly used for lighting filaments at the time the company was founded. To view our full stock of Osram bulbs Click here! 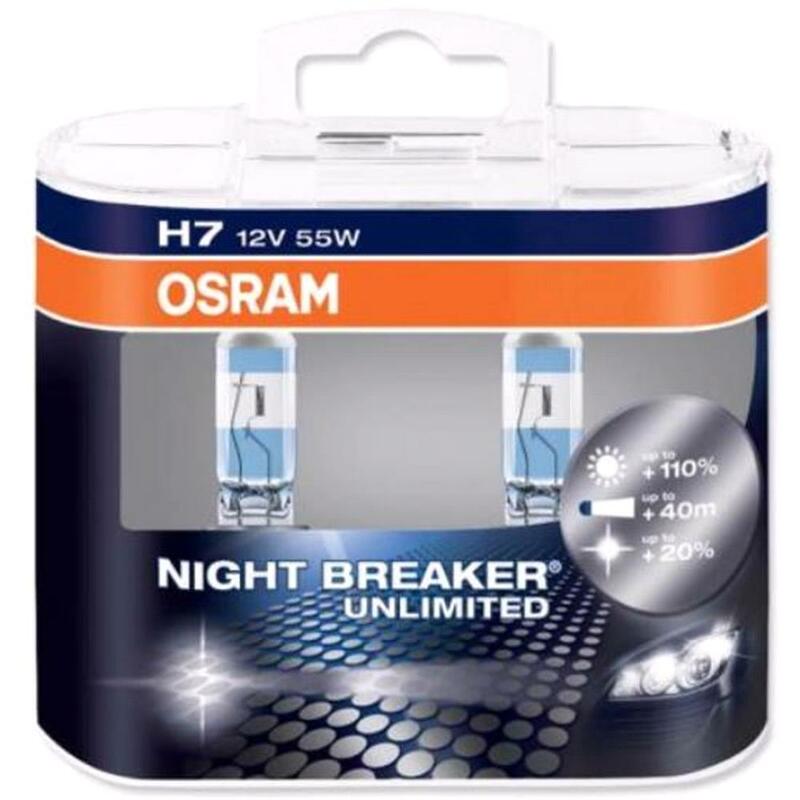 These are a good quality bulb with a long lasting life, also if you would like you can upgrade for a slightly brighter bulb you can avail of the Osram night breaker. These can offer the same bulb but with up to 90% greater brightness but at the same time still be road legal. Too look at our entire stock of night breakers click here! When ordering bulbs its important to know the grade of bulb you require. This can be found in your owners manual. If you are still not sure, what grade of bulb your require PLEASE DO NOT GUESS. Your main dealer or mechanic may be able to help you with this info.